Ahh lovely Misa. You do not disappoint. Paradise Shore is made up of six bright summer shimmers with glitter, glass flecks, shimmer and even a bit of metallic glint. Very beachy and quite in tune with this season's trends. 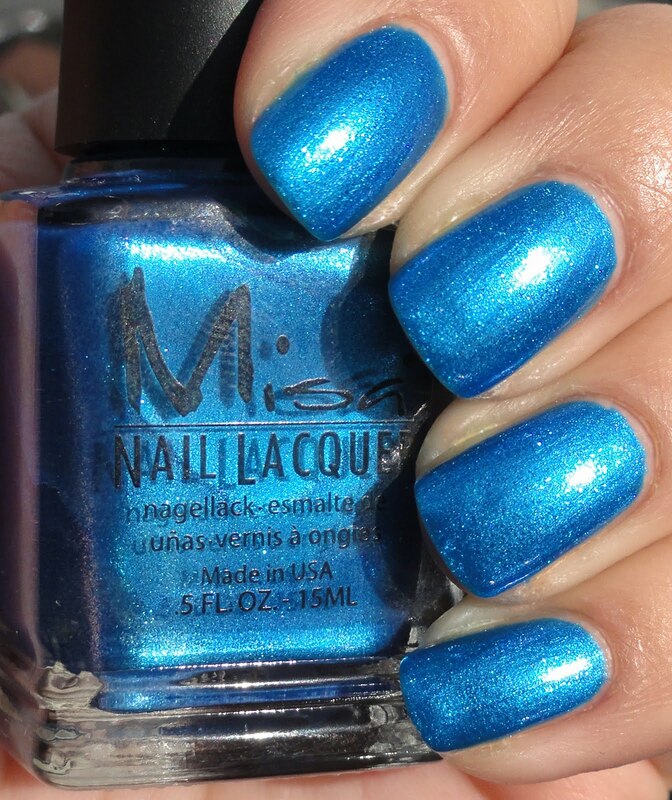 Krystal Water is a turquoise shimmer with a gorgeous glaze of ocean blue. I wasn't expecting to love this as much as I did but I really think it sparkles and glows beautifully. This is two coats. Endless Keys was another color I wasn't sure about just looking at it in the bottle, but on the nail it is spectacular. 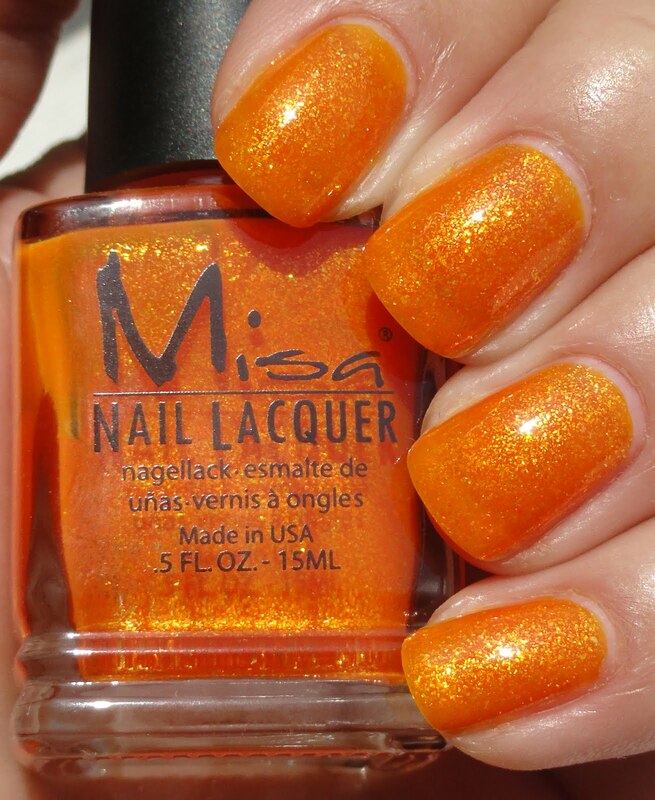 The crushed shimmer plates of gold in this juicy tangelo orange jelly look so radiant! This is also two coats. Mega Margarita is a super icy looking green with tiny gold, green, and pink glitter that certainly remind me of it's cocktail namesake. Makes me thirsty just thinking about it! This one is totally a hit for summer, fantastic! Three coats here. 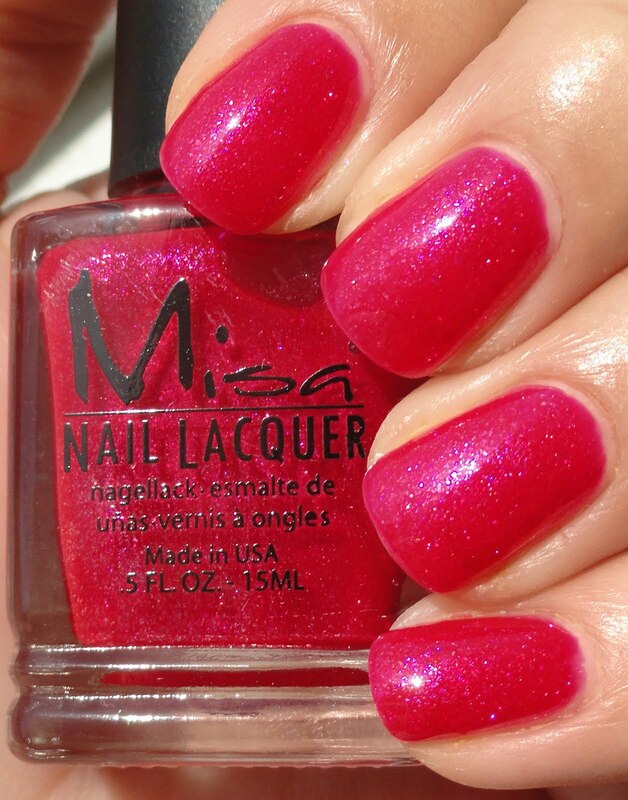 Summer Love is a bold fuschia pink with pink glass fleck glitter and a slight blue duochrome. This one is definitely close to China Glaze's 108 degrees but I think this one has a slight edge as it's not as sheer. Two coats here. Mermaid Dreams is one I wore as a full manicure on a Saturday out shopping that I did not stop getting compliments on. Literally everywhere I went, someone commented on it. 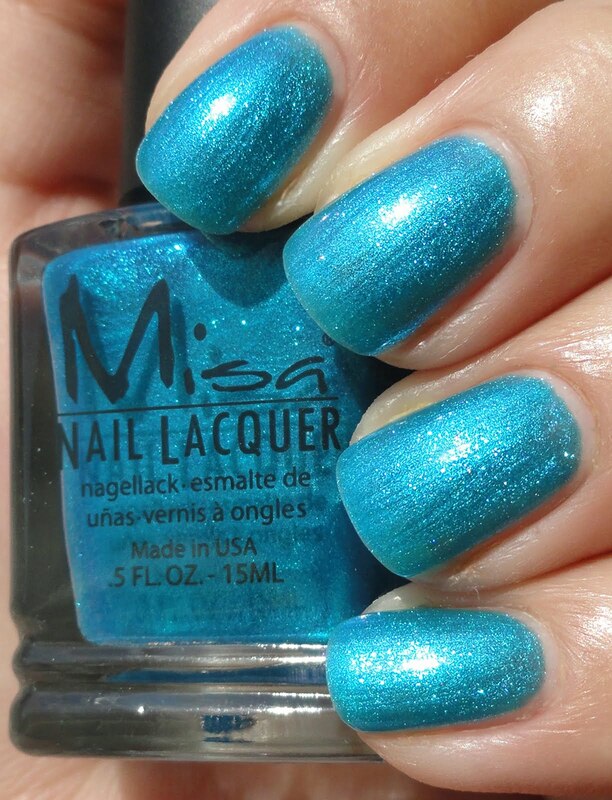 It's almost a foil metallic shimmer, a watery blue color that I imagine to be the color of a perfectly still lagoon. Three coats on this one, only because I did it in the car and the first two coats were janky. Under My Sunbrella is so freaking fun. I really love it. I have been waiting for a fun yellow all summer. Well it's not even technically summer yet so I guess I haven't really been waiting haha. This is pretty warm, very buttery with tons of golden glitter. I think it would look nice layered too, but here is it on it's own. Two coats. I've heard talk that this is super similar to another collection that came out this season, but oh well, a lot of collections come out every season that are similar in color families to each other, let's not dwell on that. 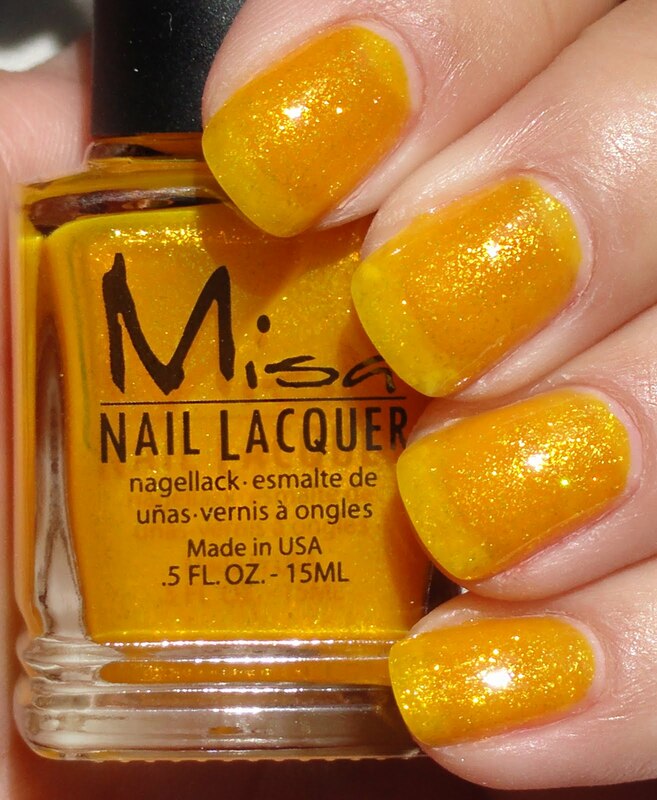 I really love Misa's products because of their quality and performance. They last a long time on me and their formula is excellent. 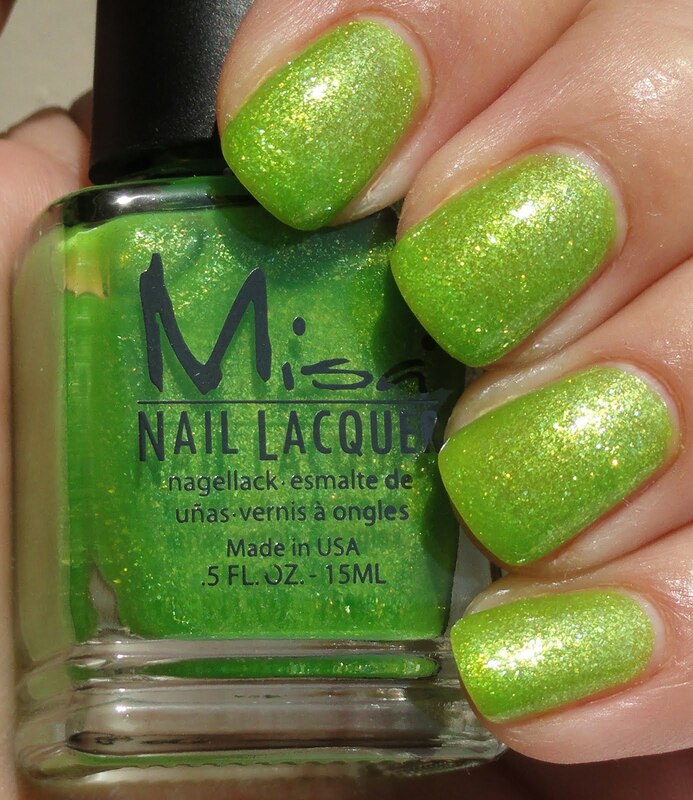 I personally love these lacquers A LOT and I think they are amazing summer colors. I hope you like them and that you enjoyed this review.